The Trudeau government is allowing Chinese investors to buy a Vancouver high-tech firm without a formal national security review even though Canada and many of its allies use the company's patented satellite communications technology for security, public safety and defence. Hytera Communications of Shenzhen, China, is acquiring Vancouver-based Norsat International Inc., a company with military customers including the Pentagon that is also delivering a satellite communication system this year for the Canadian Coast Guard. The government decided after a preliminary security screening that further examination of the deal was not necessary. The government's handling of this takeover – after Britain imposed strict conditions on a similar Hytera acquisition – and several other recent approvals of Chinese investment in sensitive sectors suggest the Trudeau Liberals are less risk-averse than their predecessors to capital from China as they prepare for bilateral free-trade talks with the world's second-biggest economy. In February, the Liberals approved the sale of a large B.C. chain of retirement homes to a Beijing-based insurance titan with a murky ownership structure, giving China a foothold in Canada's health-care sector. In March, they approved a takeover of ITF Technologies Inc. in Montreal – which the Harper government had blocked on the grounds it would undermine a technological edge Western militaries have over China. 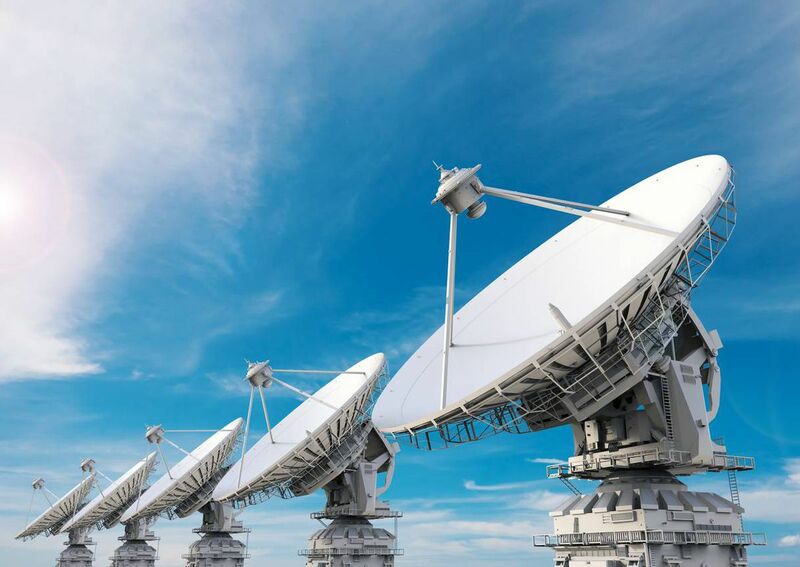 Customers Norsat lists on its website include the U.S. Department of Defence, the U.S. Marine Corps, the U.S. Army, the Irish Department of Defence, the Taiwanese army, the aircraft manufacturing company Boeing and major journalism outfits including CBS News and Reuters. A U.S. government official declined to comment on the takeover or whether the Trudeau Liberals consulted Washington. Norsat says its technology is also used by NAV Canada, which operates the country's civil air navigation service. In January, Norsat announced a big order to supply its Globetrekker portable satellite terminals to a "combat support agency" for the U.S. Department of Defence. Richard Fadden, a former head of the Canadian Security Intelligence Service, said in an interview that he would have recommended a full-fledged national-security review. "On balance, and still without details, I would likely have suggested a review out of an abundance of caution," Mr. Fadden said. A formal security review would "reassure allies and tell the People's Republic of China we are always vigilant, even if ultimately the transaction is okayed," he said. Innovation, Science and Economic Development Minister Navdeep Bains defended the government's approval, saying it was decided in the security screening analysis that an in-depth security review by CSIS and the Department of National Defence was not necessary. "There are measures under the national-security review that we are unable to share with the public but … if after an initial review we feel we need to further investigate, we do that," he told The Globe and Mail. "The point I am making is that we do not ignore any transaction." Hytera, the Chinese buyer of Norsat, drew international headlines in March when telecom equipment giant Motorola filed a high-profile lawsuit against it. The Chicago firm accuses the Chinese company, once a distributor of Motorola products in China, of a large-scale theft of its proprietary technology. Asked for comment on the Hytera acquisition of Norsat, a Motorola spokeswoman referred The Globe to its lawsuit and patent infringement claims, which allege three former employees of Motorola gave 7,000 documents to the company. "Hytera took a shortcut to entering the market for competing digital radio products, by pilfering Motorola-developed technology and intellectual property," Motorola said in a patent infringement complaint filed in a U.S. District Court in Illinois. Hytera has rejected the allegations and said it believes it will be vindicated in court. China has made no secret of its dislike of national-security reviews. When the Liberals came into office, briefing books prepared by the department of Global Affairs warned that China believes it has been "unfairly targeted" by such probes. China's ambassador to Canada, Lu Shaye, told The Globe earlier this year, he considers national security reviews tantamount to trade protectionism. All foreign takeovers of Canadian companies have a security screening analysis for their potential to harm national security, but a formal national security review is far more extensive. It is undertaken when the government decides a deal could be injurious to national security. A far-reaching probe would analyze the potential impact on Canada's defence capabilities and economic interests and investigate the impact on the transfer of proprietary technology outside Canada. Asked why Mr. Bains skipped a review and approved the Norsat deal last week, Innovation department spokesman Hans Parmar said "following the extended screening process, there are no outstanding national-security concerns." The government declined to explain its decision-making. It also declined to say whether Washington was consulted or signalled its approval of the transaction. University of British Columbia professor Michael Byers, who holds a chair in global politics and law, expressed astonishment that Ottawa did not do a formal review. "I find this incomprehensible because it is so clearly involves cutting-edge technology as well as Canada's most important security alliance," Prof. Byers said. "We have a Canadian company that is building satellite receivers for essentially the most advanced satellite system operated by NATO and the Chinese takeover of that company is not being subject to a national-security review." He said a broader question is: "Do we want small and medium-sized Canadian companies that are engaged in cutting-edge telecommunications research and development to be snapped up by foreign companies that are essentially hollowing out Canada's aerospace and military industries by doing this?" When Hytera made a bid for Sepura, a mobile digital radio equipment maker in Cambridge earlier this year, Britain – which has intervened in foreign takeovers on national security grounds only seven times in the past 15 years – imposed strict stipulations on its conduct after the acquisition to safeguard national security. Canada has imposed no constraints, or undertakings, on the Hytera-Norsat deal. Hytera is majority owned by Chinese billionaire Chen Qingzhou, but a Chinese sovereign wealth fund that Beijing owns, the National Social Security Fund, has more than 2 per cent.